Leftists of a certain vintage felt a sense of nostalgia hearing Kanhaiya Kumar’s ‘azadi’ speech. Sepia snapshots of a revolution round the corner, red flags, protest marches, burning buses, of walls painted with Tomar naam, amar naam, Vietnam, Vietnam floated through the mind. Back in 2016, Kanhaiya Kumar, then a Jawaharlal Nehru University student, was demanding freedom from a number of social ills plaguing the country. As the speech went viral on social media, a halo of the romantic revolutionary formed over Kanhaiya Kumar. A desi Che. It’s a quirk of fate that he is the Communist Party of India’s candidate from the Begusarai Lok Sabha seat for the 2019 elections. Begusarai for many years was known as the Leningrad of Bihar. Leningrad a city that in leftist consciousness is the cradle of revolution. Though Begusarai electorally is now under a saffron dispensation, for decades it was to the Reds that people turned to. The area’s association with the communists go back to the 1930s when they mobilised landless and indigent villagers to revolt and seize land belonging to local zamindars. The association has continued over the years. The communists got their first leg up when Chandrashekhar Singh was elected in 1962 to Bihar assembly from Teghra, an assembly segment of the Begusarai Lok Sabha constituency. From then to 2010 Teghra has elected a communist MLA. Chandrashekhar Singh, regarded as the man who built the Communist Party of India in Bihar, is by far the most revered communist leader in the area. And then there were Kedarnath Singh, Suraj Narayan Singh, Shatrughan Prasad Singh, Ram Binod Paswan…household names all, leading lights in the workers’ and peasants’ struggle. Begusarai and its surrounding areas Bihar’s Leningrad has a curious mix of feudal and bourgeois characteristics. And because of this the communism struck roots here. Bihar’s enduring feudalism and with land being held by a small group of zamindars meant that peasants would gravitate towards the communists. They would grab the excess land and redistribute it. Leading the struggle against landlords would be the first step in communism’s appeal amongst the ordinary people. Begusarai and the adjoining Barauni were once the hub of Bihar industries fertilizer plant, thermal power plant, refinery, dairy and a number of ancillary units. The thousands of workers employed in these factories were the perfect catchment area for the communists. Slogans such as Workers of the world unite… and May Day celebrations were quite the norm. Many political watchers however maintain that it was the muscle-flexing by left trade unions that saw factories shuttering and the workers’ movement collapse. 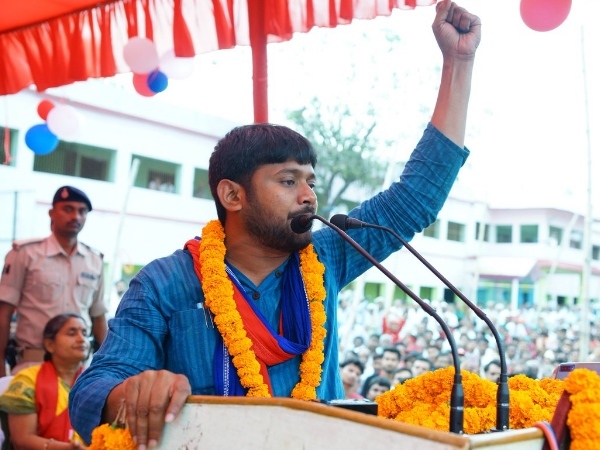 Kanhaiya Kumar, an All India Students Federation activist during his student days, nominated from Begusarai Lok Sabha constituency is coming back home, both literally and metaphorically. He is from Bihat village, the birthplace of Chandrashekhar Singh, Kanhaiya’s political forefather. There are family linkages too. Chandrashekhar’s father and Kanhaiya’s grandfather were brothers. Though the political and social landscape has changed significantly from the days of Chandrashekhar Singh, there are some things that still remain the same. Left parties are still led by Bhumihars, the land-owning class. 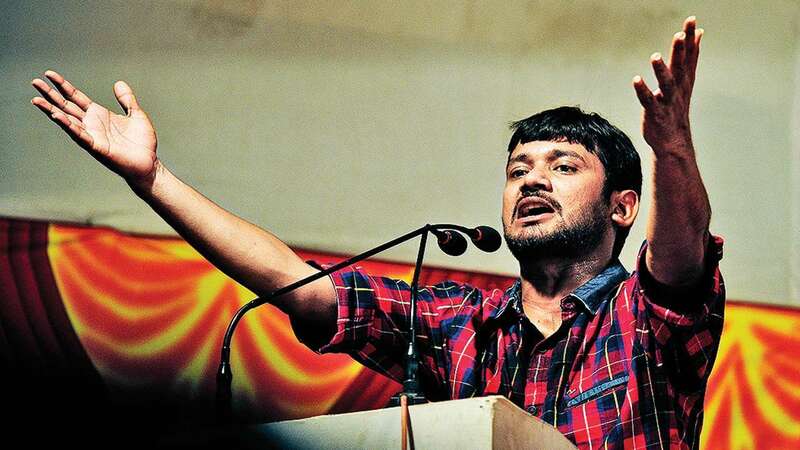 Kanhaiya Kumar is a Bhumihar. Caste divisions still exist as does poverty. Can he pump up his comrades and reignite the fervour among the voters? Will the red flag fly high in Begusarai? Voting will take place on April 29, in the fourth phase. Results will be declared on May 23.